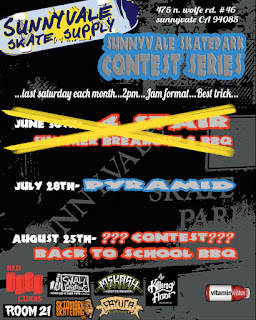 saturday july 28th at sunnyvale skatepark. 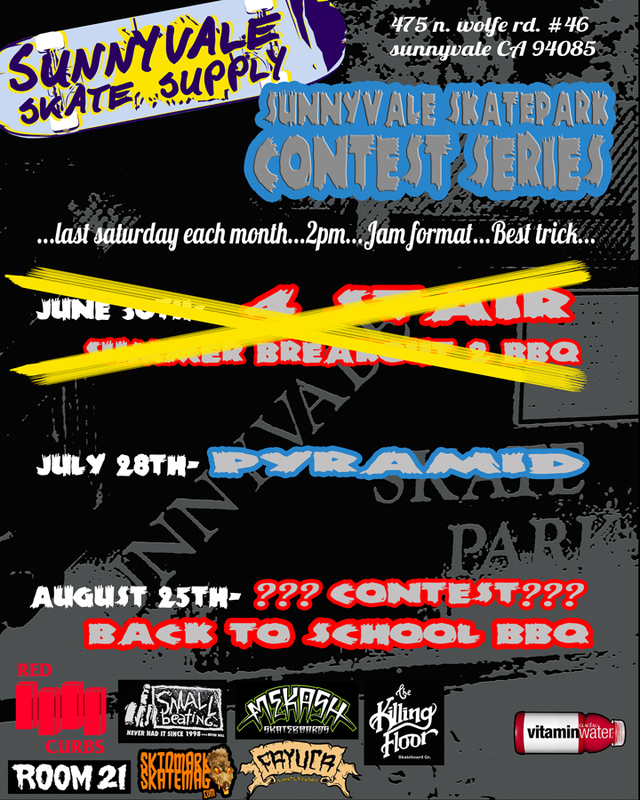 pyramid contest at sunnyvale skate park. first place wins a penny skateboard! prizes for second and third also. check out last years pyramid contest here.